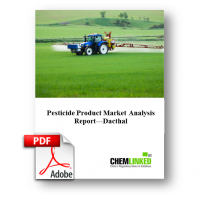 A single preemergence application of dacthal wipes out weeds before they compete with high-value crops for water, nutrients and sunlight. Dacthal stops difficult-to-control, predominant broadleaf and grass weeds before they grow, and it promotes fast and vigorous crop growth. Its dependable residual activity provides a solid, season-long foundation for weed control that can eliminate the need for postemergence applications and radically reduce tilling time and labor costs in row crops. Dacthal fowable herbicide delivers the high quality, high value control that helps growers get more out of every acre they plant.